The Self-Storage industry has been one of the most rapidly growing markets in the last few decades. Projections for the near future show that this growth may not slow down anytime soon. As more self-storage facilities get constructed, there are many different ways that Projectmates can drastically improve the construction process from start to finish. One of the most significant factors for a customer when selecting a self-storage company is the design of the facility. An essential part of appealing to customers in the self-storage industry is making sure that the facilities can accommodate a customer's various needs and that they are designed in a way that is secure and accessible. Being able to provide that for consumer's starts at the beginning of the building process at the design and planning phase. Projectmates can ensure that self-storage companies have the tools needed to design facilities effectively. With Projectmates online construction project management software, clients can use the document management module to securely login using any desktop, mobile device, or tablet to view documents, make redlines, accept changes, email approvals, and more. Construction project team members now have a system where they can easily exchange any and all file types, such as PDFs, CAD files, spreadsheets, videos, images, etc. By being able to manage, view, and markup documents as well as communicate with team members about the changes, our clients have the necessary tools to perfect designs and ensure that the rest of the phases of the construction process are set up for success. Once a self-storage facility has been entirely designed, the top priority becomes working efficiently to bring that design to life. Projectmates provides their clients with workflow management and contract management that allows projects to be managed efficiently. Through the powerful features of Projectmates, clients can efficiently manage RFIs, submittals, field reports, punch lists, as well as the schedules of the many people involved in a project. The contract management drastically simplifies the management of bidding process, purchase orders, and invoices so that project leaders can be in full control and maintain oversight over third-party vendors. Projectmates provides a collaborative platform that still gives the project leaders control to efficiently manage everything so that less time is spent on mistakes and rework, and more time is spent accomplishing goals and completing projects faster. Arguably the most critical aspect of a successful self-storage construction project can control costs and complete the project within the allocated budget. 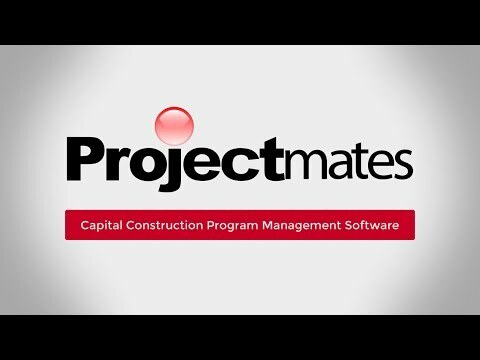 Through the capital planning and budgeting features of Projectmates, executives and key decision makers have complete control of all financial aspects of construction projects. The powerful modules provide project leaders with a complete awareness of where all money is being allocated and provides easy to interpret snapshots and visuals that allow owners to properly allocate funds exactly where they are needed. The robust reporting module offers unprecedented control over project data and is incredibly easy to use. Clients can now utilize project analytics through reports that give you the critical insight needed to make smart decisions. Controlling costs are essential for smart construction project management and are a vital component for project success. As the self-storage industry continues to grow, the management of the construction process is a critical component of expansion success. Projectmates provides innovative and essential solutions so that self-storage companies can design facilities, streamline construction processes, as well as control costs so that self-storage companies can successfully expand the market. Today, Systemates has an expansive client base — from traditional construction companies to Real Estate Trusts, from Healthcare facilities to modern Educational Institutes and from Public Sector groups to leading Retail businesses. Projectmates' collaborative platform dramatically improves project execution, cuts costs and delays, increases accountability and reduces risks. The continued projected growth for the industry significantly increases the need for a powerful construction management software that can automate and streamline construction processes, facilitate collaboration, and reduce costs.